Following the Townsville Basketball Association’s success in hosting the event in 2017, Basketball Australia is pleased to announce the Australian Under-18 Championships and Kevin Coombs Cup will return to Townsville from April 13-20 next year. “These Championships are an important part of an athlete’s pathway to the elite level and a majority of our national team players for the Boomers, Chemist Warehouse Opals, Rollers and Gliders have competed in the Championships,” said Basketball Australia CEO Anthony Moore. The likes of Olympic bronze medalist Liz Cambage, NBA Champions Matthew Dellavedova and Patty Mills as well as wheelchair basketball World Championship players Georgia Munro-Cook, Annabelle Lindsay, Tom O’Neill-Thorne and Jannik Blair have participated at the tournament in the past and the city of Townsville will help unearth the next generation of superstars in 2019. “We are incredibly excited to once again be afforded the opportunity to host these Championships,” said Townsville Basketball CEO Greg Vanderjagt. “To be able to successfully tender to bring an event of this magnitude to our region twice in three years is a huge endorsement of our associations ability to deliver a high-level event. The two tournaments will be held at Star FM Townsville Stadium and Townsville Stadium, both situated within the Murray Sporting Complex. 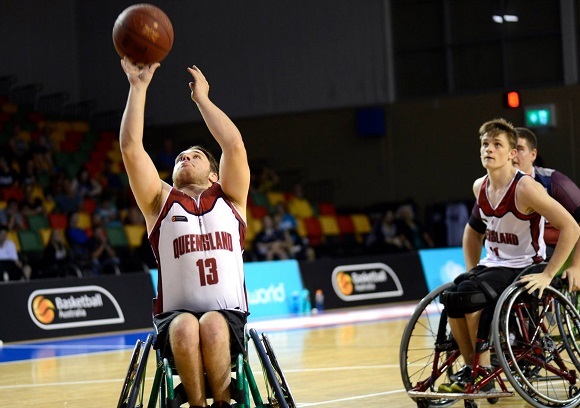 After the Under-17 men’s and women’s World Cups were held this year, several Australian Crocs and Sapphires players are expected to compete at next year’s tournament while some athletes from the upcoming IWBF World Championships could return home to compete in the Kevin Coombs Cup. Townsville Mayor Jenny Hill said it was a coup for the city to host the tournaments. “Being selected to host the Championships helps cement Townsville’s position as the sporting and events capital of Northern Australia,” Cr Hill said. “More than 1500 people – including 600 junior athletes – will converge on our city which will provide a major boost to the local economy. “Major events such as the 2019 Australian Under-18 Championships and Kevin Coombs Cup coming to Townsville help create jobs for locals and boost business confidence. In addition, Townsville Enterprise CEO Patricia O'Callaghan was thrilled to support Townsville Basketball in their tender. “It’s anticipated that this event will inject an estimated $3,531,000 into the Townsville North Queensland economy, generated by the projection of over 1,500 event attendees.